I am on the other hand eagerly waiting for the monsoon to strike Delhi, the heat has become sweltering hot and unbearable too. The only thing which I can’t miss these days s my cooling toner, which I am spraying on my skin numerous times a day and my Deo. This review is on my current favorite Deo from Fa. It’s a roll-on deo in scent ‘Carribean Lemon’. I have been using this since a month and it’s time it featured on my blog. 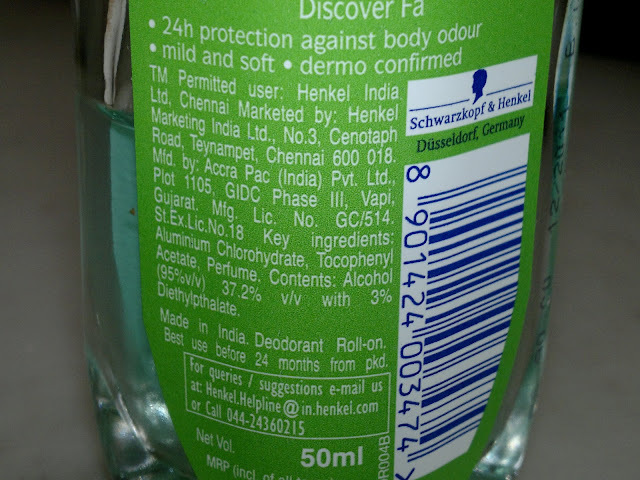 Price: INR 100 for 50 ml of the product. Packaging is quiet nice, with the product conatined in a squarish glass bottle having a roll tip on top for dispensing the product. There is also a screwable plastic lid for protecting the roller tip. Ingredient list: only Key Ingredients mentioned. This is a very good Deo, it does what it promises to and keeps me fresh for atleast 24 hour. The color of the deodorant is pretty soothing as well, it's a very light grren, which actually reminds you of Carribean. Better than some other roll-ons which I have tried lately. The scent is nice but not overwhelming and it feels cooling on my skin. Though the cooling sensation lasts only till the deodorant dries. Another plus point is that it doesn’t stain clothes. The roll on tip is very nice and dispenses the product evenly. 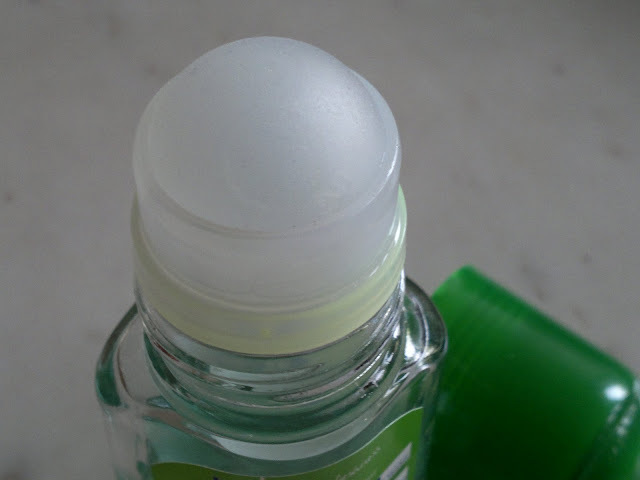 Overall, I quiet like this deodorant. Product rating: A, available at most grocery stores and chemist shops (haven’t seen this on online shopping websites). Would definitely recommend this to everyone looking for a fresh start to their day! 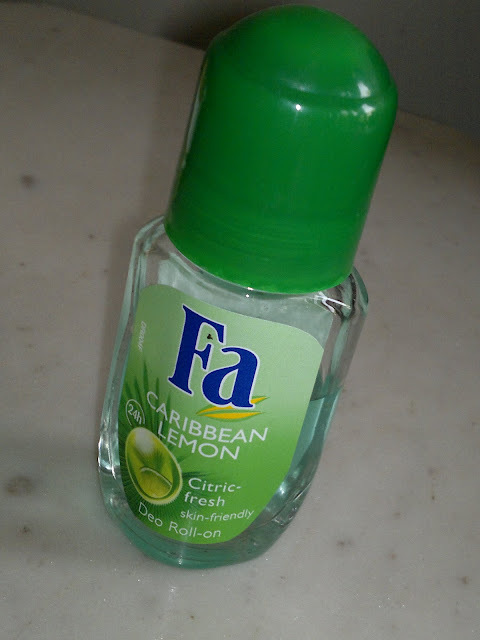 i love the lemony scent.. i use fa body sprays but i am bit apprehensive about roll ons.. i have heard one starts sweating more after using roll ons.. is it true?? or just a myth.